Thorney Motorsport has been in the business of tuning cars for over 20 years and its fair to say we have seen our share of 'snake oil' products to emerge promising all kinds of performance gains. Oil additives, spurious petrol claims, engine flush treatments, pretty much all of them are there to expand the pocket of the garage rather than improve your car. So when we are contacted by a company offering a process to clean your engine, gain power, improve fuel economy with no downsides and a cheap cost you can imagine our response......the second word was 'off'. However they persevered and the fact the guy selling it to us was previously employed by me for 5 years whom I respected I did begrudgingly agree to a demonstration. So, we provided two cars to run the test on, our Mclaren 12c Spider, a £130,000 car which is already heavily modified but with low miles (20,000) so not exactly worn out and also our Citroen C2 race car, 118,000 mile shed which we are racing this year purely for fun. The reason we picked the Citroen is that the race regulations are very tight and we cant touch the engine all we can do in the regulations is clean it, so we figured thats what we'd do. For the purposes of the test we dyno'd both cars and then ran the HydroFlow machine on each and then dyno'd the cars again, same day, same conditions. 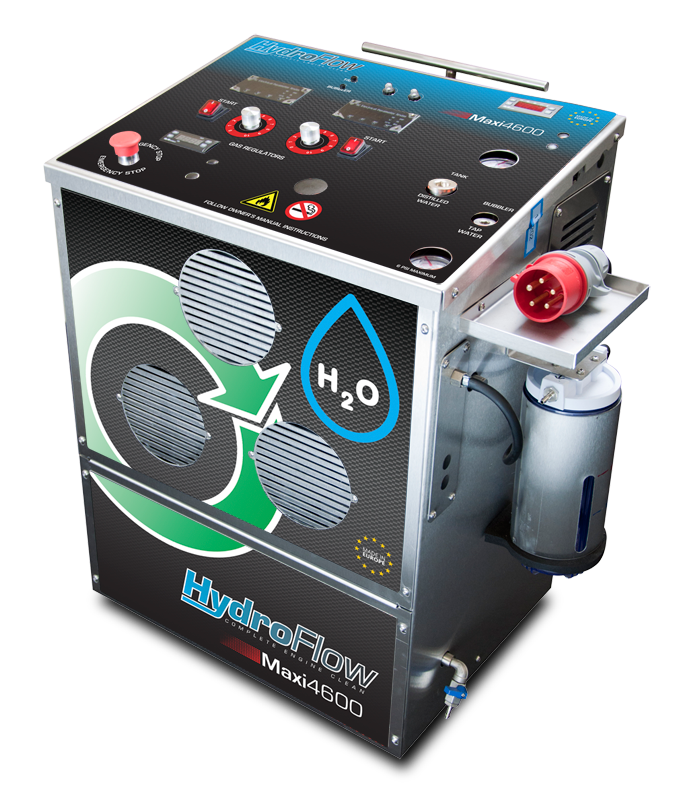 Now the process of HydroFlow cleaning is quite dull, the machine uses distilled water to create pure hydrogen gas which we then feed into the cars air box intake (both intakes in the case of the Mclaren as its a V8) and then ran the car for 45 minutes, thats it. No special chemicals, no treatments, or tantric chanting, just feed a hose into the airbox intake of the car and let it idle, occasionally revving the engine a little to get the revs up. All that is used is pure hydrogen gas but what happens is that the hydrogen burns with the fuel at a higher temperature and the resulting extra localised heat cleans off the carbon build up in the valves, intake, exhaust, cats, DPF's its a similar effect as a human body breathing in a Vicks vapour rub, its just opening up the airways that over time have become blocked. Well if I said the results were amazing it would be an understatement. With the Mclaren I decided to road test it right after and the mid range pick up and acceleration was manifestly faster, and I do mean manifestly, it felt significantly faster. With the C2 race car we dyno'd it again and we had gained 10 bhp - thats 12% thats a dramatic increase for such a small engine (granted it had Moon miles on it) and a road test confirmed the engine revved up far smoother and quicker and it even felt faster, which for a gutless piece of crap race car the C2 is thats a statement. However, despite all this we weren't convinced, it might have worked on a couple of cars but the equipment is a lot of money so I declined to buy it but seeing on how thorough we were on testing the suppliers offered to pay us to test a wider range of vehicles so that they could use the test data for their own marketing (none of their existing dealers had their own dyno). To be honest we are pretty sure that they just wanted to show confidence in their product but seeing as we were being paid for our time and were still curious on what sorts of results could be achieved we agreed, work is work right? A week or so later we collected up a wide range of cars we had, crappy Fiesta diesel commute cars, more Mclarens, high milers to garage queens and the results are the same car after car - a dramatic increase in power and subsequent improvement in fuel economy. 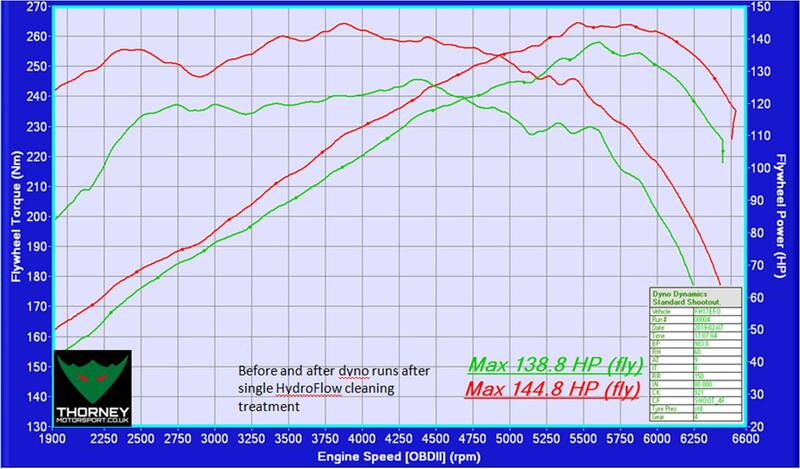 All the testing was done on the same day for each vehicle, we didnt even remove it from the dyno, just dyno'd it, HydroFlow cleaned it and then dyno'd it again. The results were a consistent 6-9% improvement on power and torque and each owner reported the car actually feeling faster, more responsive and smoother. 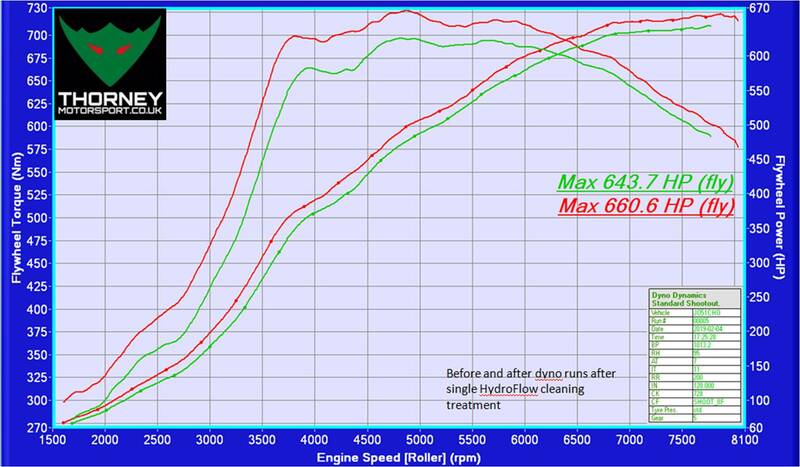 Its not just passenger cars either, we also HydroFlow cleaned our Man 7.5t race truck, it had recently failed its MOT for excessive emissions (black smoke basically) and had been quoted thousands of pounds of remedial work, one treatment with the Hydroflow and it passed with flying colours so 'old smokey' now needs a new nickname! So, we bought one and now we are offering the service for all of our customers. 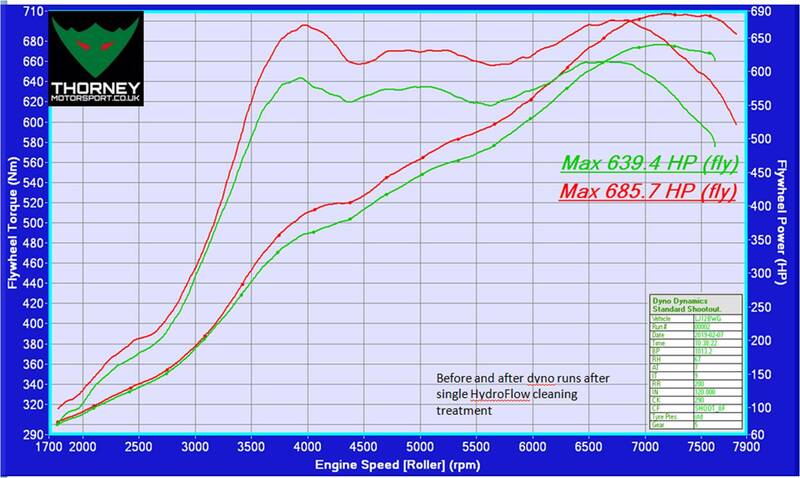 Doesnt matter if its a high end Mclaren, a daily driver, a race car, an off road ATV or the crappy train station car you dont really care about a HydroFlow treatment really can help it and potentially save you thousands of pounds of repairs, MOT failure costs and fuel bills. See here to see just how simple it is to do. The cost for a single clean is £199 with a money back guarantee, if you are not amazed by the outcome on your car then we'll refund it, it is that good. The process takes an hour so can be done while you wait, we also offer a mobile service (mainly so we can treat race cars at circuits) which is the same cost plus any mileage/travel time. It really is worth a go, there is no downside. Any chance you’ll be at any AWDC events this season or BXCC? As would be keen for my Mercedes 412 motorhome(1998) to have refresh the old girl deserves it! Hi, I’m afraid at the moment no, Yamaha no longer offer any support to anyone racing sadly so we are concentrating on building cars for others than our own.